This post was written with Rachael Peck (@rachaelpeck23, you can check out her blog here). Rachael and I are both elementary school principals in the Roseville City School District. Before being principals, Rachael was an elementary school teacher and then a middle school ELA/History teacher, and I was a middle school math teacher. Both of us are passionate and avid readers. What has Accelerated Reader (AR) been used for in the past at our schools? AR has been used as an accountability system to set point goals for kids to achieve by taking quizzes that only include multiple choice questions to check for basic understanding. The points and quizzes are used to monitor if students are reading. For one year, AR would cost Stoneridge, a school of 550 kids, $4,085. For Sargeant, 450 kids, the cost would be $3,515. As principals and parents we want our children to develop and continue a love of reading. We want them to enjoy reading. 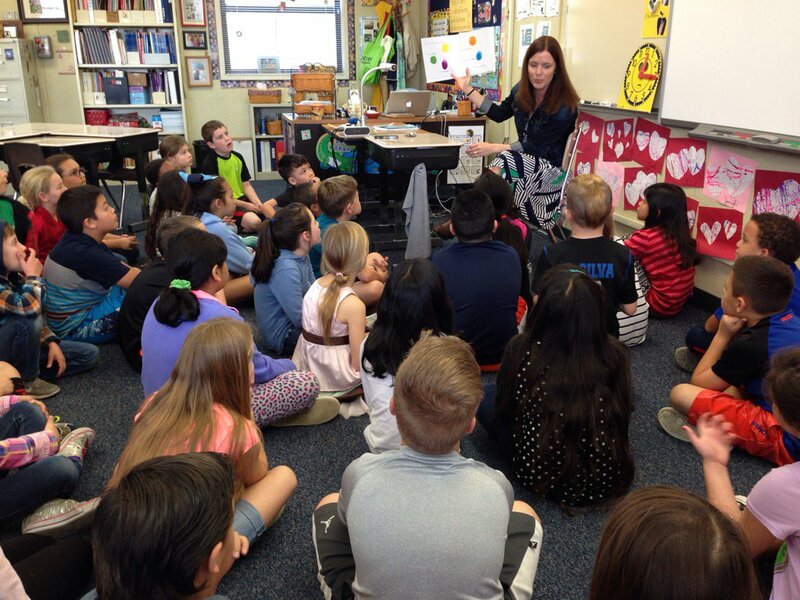 We want students to engage in conversation about books and topics they’ve read. 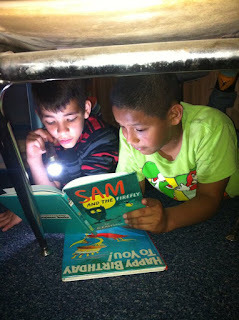 We want students to be excited about what they’re reading and choose to read; not feel they have to read. The Stoneridge Staff all dressed up for Storybook Character Dress Up Day. What do some students and some teachers like about AR? AND What can we do instead? What do some students and teacher like about AR? What do others say about AR? There are many resources and articles linked below, but we also wanted to pull out a few excerpts from authors, teachers, and principals around the country. Jennifer LaGarde, Lead School Library Media Coordinator said: I don't know about you, but... I did not become a reader because someone held me accountable for reading. I did not become a reader because someone offered me "points" or other incentives for the quantity of books or pages I read. I did not become a reader because someone limited my reading selections to only to those titles on a certain reading level or within a specific lexile band. And I did not become a reader because someone forced me to complete reading logs, write book reports or create (and then reuse) the occasional diorama. 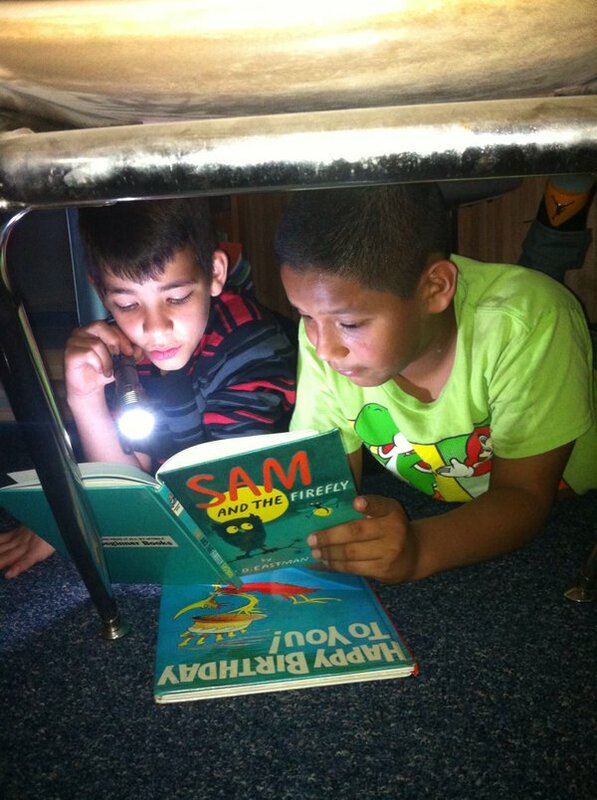 As a school, what are you doing to develop the love of reading in both students and staff? What are your personal experiences with AR? RP: I’ll admit, as a teacher I used AR in my classroom. I tweaked it to make it work for me, but there were some things that I liked. Over the past two years I’ve been reading about reading. I’ve taken the time to ask myself what I truly want for not only my own two children but all of the students at our school. I want them to enjoy reading and develop a passion for reading that stays with them throughout their life. This leads me to the question, does AR support that desire? I think AR can appear to create a desire to read, but it's really just a desire to earn the points and reach the goal. What if the points are gone? Will the child still want to read? What happens if there is something they want to read without points? On a personal note, my oldest son is an avid reader and has been since 2nd grade. He loves competition so he loves earning his points to prove that he can meet his goal. At the same time, this year I saw him abandon books that he wanted to read for two reasons: there was no AR quiz and books he received as a present (that he really wanted!) were only worth one point and he didn't want to waste his time. It was a sad moment for me when I saw that because of the guidelines around AR, he was giving up on books he really wanted to read. BB: I love competition. It is part of the reason I love sports. But if we are creating competition where students are losing when it comes to reading, it is wrong. Have we had students miss their AR goal and feel like a total failure? Yes we have. And any system where students feel like they are not a reader because they missed a goal is wrong, especially when they might have read plenty. My daughter loved reading The One and Only Ivan. She had to tell me all about it everyday until she was finished. She told me it was her favorite book she had ever read. When she went to school to take the AR test she scored a 60%, she didn’t pass yet I know she could tell you everything about that book. A little while later she was talking to a friend at our house about books they liked. I didn’t hear her recommend The One and Only Ivan. I asked her why and her response was that it was just ok. I know she felt that way because she didn’t pass the AR test. We had an author come and visit our school. His book was mainly for 3rd, 4th and 5th graders. The author did a great job talking about the writing process and then went into his newest book. Students were so excited about the book because of the way he described it. After he was done giving his presentation, he asked if there were any questions. The very first question that came up, “How many AR points is your book worth”. Depending on what answer he gave students would either still want to read it or for some the book wouldn’t be worth enough points and therefore not worth reading. We know we stated it earlier but our main goal is for our students to love to read. We want students that are lifelong readers and you don’t do that by worrying about how many points a book is worth or having to answer low level multiple choice questions. Students become lifelong readers when they have choice in what they get to read, when they have adults that model a love of reading, when they get to have authentic conversations about the books they read and when they read to read and not because of rewards. When we look at cost, rewards, limiting book selection, having students take tests that no adult would ever do after they read a book, AR doesn’t make sense to us. And for all those reasons, that is why we are moving on from AR. I love this example of Principals leading the way on a topic that will appeal to many. Great collaboration you two! Thanks Sally for reading and sharing! All I can say is HOORAY for you. This is a big bold decision, and you wont' regret it. Best of luck! Thanks for reading and the support Mrs. Wyman! when making this reading competition i think the makers didn't really focus on the long term effects it could have on the kids and i think more schools should stop this competition. Elementary school librarian here, and also, a victim of AR. I was not allowed to read books I wanted to because of my high reading level, so I just quit reading completely. In second grade! Now at age 29, I am having to force myself to become a reader. This is our school's first year without AR, and circulation in the library has already increased by 60% just in the first 2 months of school because students are getting to read what they want, and therefore, they are reading more!